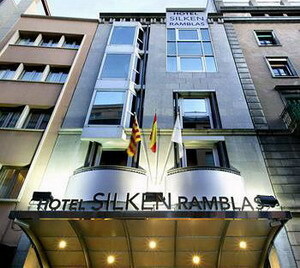 Silken Ramblas, constructed for the 1992 Olympic Games in Barcelona, Spain, stands one block from La Ramblas and the Gothic Quarter. 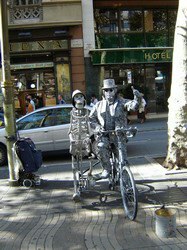 This property is located 500 meters from Passeig de Gracia and one kilometer from the Picasso Museum. Expert Tip: The Barcelona city skyline provides a beautiful backdrop for rooftop barbecues that can be arranged with the hotel's permission. 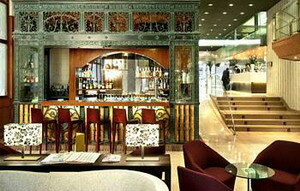 A brightly designed lobby leads to the hotel's restaurant, Ebano. 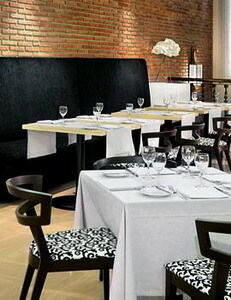 Main courses focus on Mediterranean and international dishes. A bar offers poolside service. 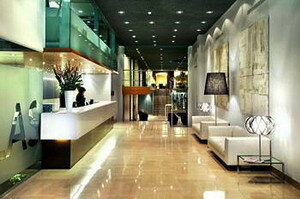 The hotel's business center offers fax, photocopy and print Services. Three function rooms accommodate events, the largest of which hosts up to 200 people. One room, the salon MACBA, is located on the fifth floor and features natural light and a terrace. 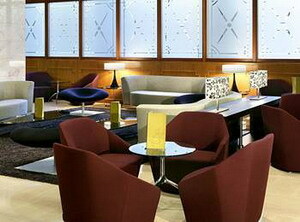 High-speed Internet access is offered in public areas of the hotel. 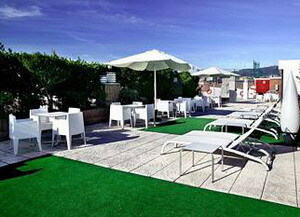 Recreational amenities include a pool located on the rooftop terrace that provides views of the Barcelona skyline. 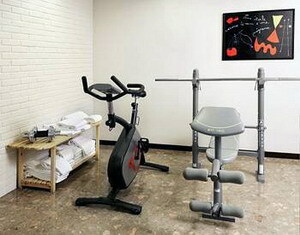 The fifth floor houses a small fitness area equipped with exercise equipment and a sauna. This smoke-free hotel offers tour assistance. This hotel offers 105 contemporary guestrooms with satellite television. A variety of polished wood finishes adds character and warmth to the walls and furnishings. 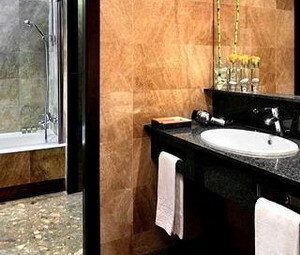 Bathrooms include bathtubs, showers and bidets. Select accommodations boast balconies with city views.